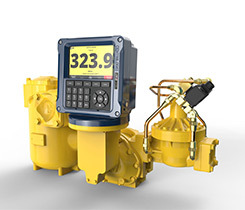 Bergquist will unveil new Cavagna float gauges at the 2019 NPGA Southeastern Convention & International Propane Expo. 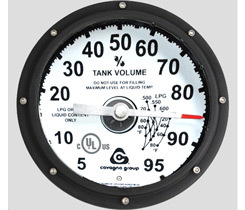 The durable and precision-tuned float gauges have upgraded to a heavy-duty stainless steel construction with welded tube coupling for better use in LPG and NH3 applications. New features include integral spring-loaded shock absorbers for strenuous over-the-road applications and a glow-in-the-dark dial face that is sealed to prevent damage from the elements. The gauges, which span from 72 in. to 84 in. in diameter, feature mounting hardware that can be retrofitted to other brands and will mount to industry standard 8 bolt tank flange adapters. Bolts, nuts, brackets and gaskets are included. The product is distributor friendly and suitable for bobtail, transport, railcar and bulk storage applications.